As of the 27th September 2018, Penguin Modern Classics have published the entire works of John Le Carré, making him the living author with the greatest body of work to be awarded classic status. The project took nine years to compete. To celebrate this and the new six-part BBC adaptation of The Little Drummer Girl coming soon starring Alexander Skarsgard and Florence Pugh, Penguin have organised a three week blog tour with bloggers each reviewing a different John Le Carré book. 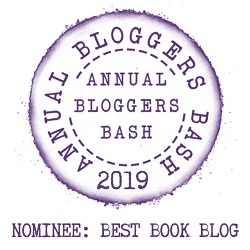 There is also a fab giveaway to enter at the bottom of this page too. This is the first John Le Carré book that I have ever read. When I mentioned it to a few people that I would be reading it they all said the same thing, ‘it is a great book to get me introduced to the author’s work’. I will admit that I know of the book and that a few years ago there was a BBC adaptation of it and a recent movie. Alas, I have seen none, so apart from the synopsis and little snippets people were telling me, I knew nothing about the book. My first impressions of Le Carré’s work is how rich in vocabulary it is, you can certainly tell it was written a few decades ago from the carefully chosen descriptive words. Whilst this is a spy story set during the Cold War, there is no James Bond bling to it. George Smiley is a fascinating character. He has been brought back from retirement (this is the fifth George Smiley book), and give the task of searching for a mole high up in the ranks of the MI6. As well as George there is a vast array of characters, too many to mention and at times I did feel a little confused as to who was who. This is most definitely a book you need to concentrate on. It did take me a while to read and at times I re-read pages just to make sure I had the story straight. I feel this is more down to the fact I rarely read older books, so the language and the tone took some getting used to. Overall I found the book absorbing. I was expecting the plot to jump right into the thick of it, so I was a little confused by the opening scenes in a school, but everything came together nicely. I have now been compelled to read more by John Le Carré, including ‘The Little Drummer Girl’, though I might watch the BBC adaptation coming soon first this time. 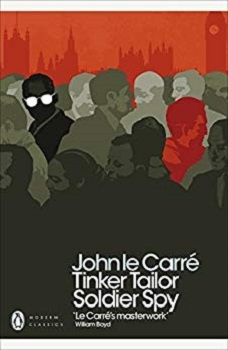 To celebrate Penguin publishing the entire works of John Le Carré I have one copy of ‘Tinker Tailor Soldier Spy’ to giveaway (UK Only). To be in with a chance of winning, hit the Twitter button at the top of the page and re-tweet this page, or leave a comment below letting me know if you have read any books by John LeCarré or seen any of the adaptations of his work. Rules – The competition will begin on 5th October 2018 and end at midnight on 18th October 2018. Open to UK residents only, anyone outside of the UK entering will be disqualified. There is no cash alternative and winner will be randomly chosen as soon as possible after the closing date and give 72 hours to respond, if no response they will be disqualified and another winner will be chosen. Prize is 1 x paperback copy of Tinker Tailor Soldier Spy. Once contacted the winner will be required to email me their address for delivery of their prize, this will not be kept on file. I think it is one of those books that everyone should try. I’ve never read a John Le Carré book. This one sounds good. I know most of his work, but like you this was my first read. Oh wow! I may have to put this in my TBR. I’ve never read one of his books and that is amazing that he is still alive and has the most books as classics! I don’t think I have read Carre before but I have seen many of his books on the blogosphere often enough that I am tempted to read them; and you review makes this one so much more interesting. Awe, thank you. I’m glad that you like the review. I never read nor heard of John Le Carré before your post, is that bad?! I will have to have a look at that list and check one out. I remember this book coming out as a movie recently and thought it sounded good — didn’t know it was based on a novel, and I know John Le Carre’s works are considered excellent, so I think I might give him a try based on your review. Thanks! Great review! I admire that you can sit down and read older books. I can never push myself to actually do it. Great review. I don’t tend to read spy novels. Great review, I haven’t heard about this book until now and it looks and sounds absolutely amazing, I am really glad you enjoy reading it fully. Thank you so much for sharing your awesome post.